Whether you prefer a luxury beach resort or hiking Mayan ruins during a trip to Mexico, when you get home you will need the perfect scrapbook layout ideas to commemorate your trip. Show off your favorite photographs and treasured memorabilia with a few themed pages using these layout idea templates. The following layouts are free for you to download, to use with your digital scrapbooking software or to print out and use as a background. If you need help downloading the printables, check out these helpful tips. All of these templates are 12x12 in size, and they may take a bit longer to open than a text-based file. 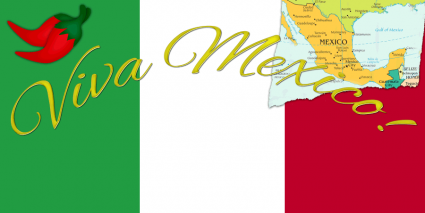 Click to download this Mexican scrapbook layout. This is a fun layout with a siesta theme. Insert your digital images for a quick page, or print it out and embellish with souvenirs from your trip. You could add adhesive-backed gemstones to the sombreros, or add a pattern to the person's outfit with paper or rub-ons. Give the setting sun some extra oomph with clear glitter glue. 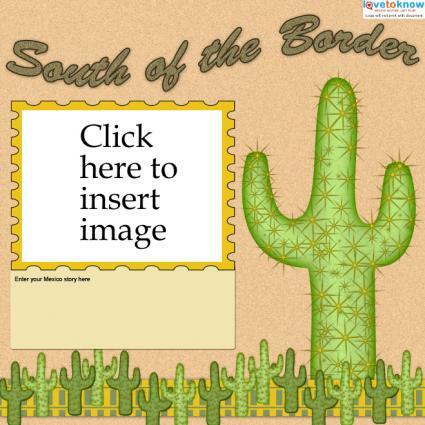 Download this South of the Border layout. Use this cactus-themed layout to include a photo and some journaling about your trip. If you're planning to print the page you can make the title stand out by embossing it, then adhering some sand from your trip to the beach to the letters. 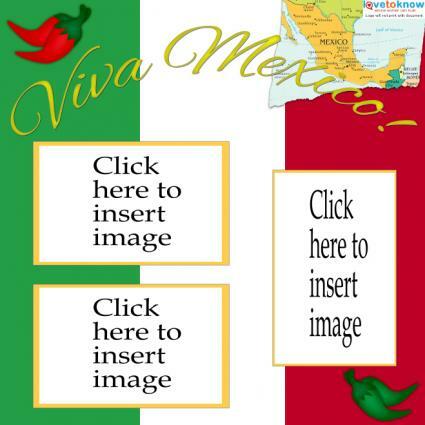 Click to download the Viva Mexico scrapbook layout. With the bold colors of the Mexican flag as well as a map and some chili peppers, this layout captures the flair of a Mexican vacation. There's lots of room for photos, collages, and things like ticket stubs and restaurant menus as well. Add some short travel phrases for extra appeal. Make creating your pages easier by remembering to take a few items when you travel. Include a small notepad and pen, and take a few minutes each day to write down a few thoughts about what you did or saw. These notes will jog your memory when you begin planning your pages. Take plastic storage bags to help corral and protect memorabilia. Save ticket stubs, postcards, menus, napkins, maps and brochures. These will not only help your memory, but can be used as page embellishments. Does your trip include any of the many water activities available? Mexico not only has beautiful beaches, but there is a variety of boat tours, scuba diving, snorkeling, rafting, and fishing. If any of these are on your list, be sure to include a waterproof camera in your bag. 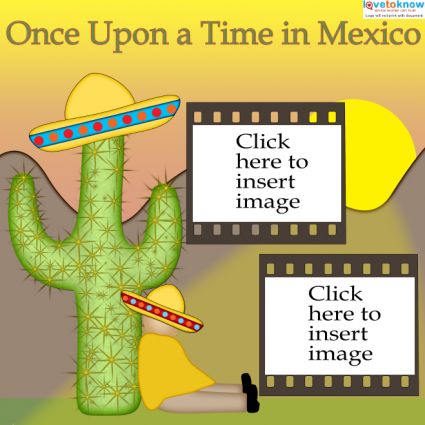 Vacations to Mexico are always memorable, and you can preserve and display your memories easily using these handy layouts. No matter what activities you enjoy on your trip, you'll have almost as much fun reliving the holiday while browsing your Mexico scrapbook.